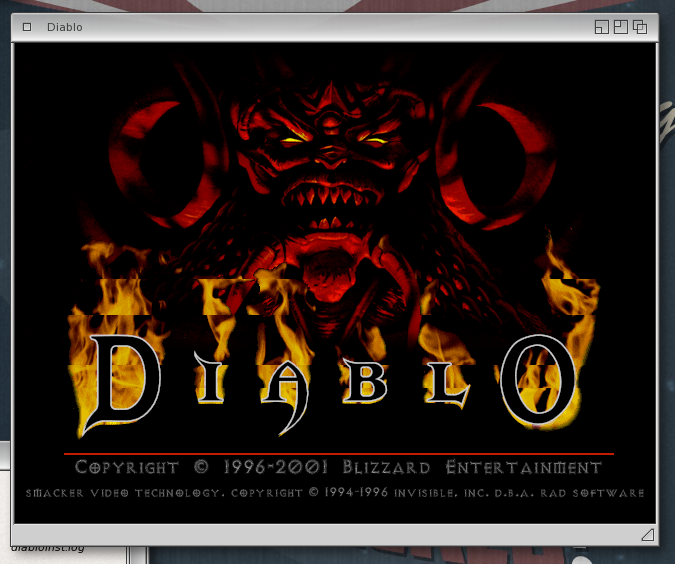 Finaly I got to somewhere, I was able to successfully recompile Diablo 1 client, my first recompiled project YAHOOO!!! However, I'm unable to read and parse the mpq file during start up as You can see on screenshot. // This function gets the right positions of the hash table and the block table. It looks more like MPQ file problem than a bug to me. Is anyone willing to give it a try in case my files are incorrect? Any advices from developers how to deal with that? Does the code you're compiling work on big-endian CPUs? If the code reads the file in as one large buffer and the file was generated for little-endian machines, then the code snippet you posted will read values round the wrong way. I think it's unlikely your data files are corrupt. gcc 5.3.0 et al is here. Unfortunately these files appear to have both compression and encryption. Maybe the code supports individual data files, too? Once you see anything about byteoffsets, headers and stuff when it come to reading files to memory , you can be on 99% sure it is Endianes which cause issues. And for gcc if you use any old one (like one from SDK), just build latest one from adtools repo, so to have 8.2.0. It is well tested already. I found that Big-endian is supported by code, so all I had to do so to configure the environment correctly. Tried to use the __buildin swap functions but it ended as undefined reference, anyway, I found the functions in SDL_Endian while wondering around in SDK. Is anyone willing to help me with debugging? Since this is my first project, I'm not so experienced with this stuff so it could help to speed it up a lot. The SDK included gcc is version 4.2.4, so is quite ancient and doesn't have the builtin swap functions. What is the correct way for memory allocation? I'm sorry if it was already discussed in some other thread, I just can't find proper answer.. Lets say I need to open a file, so I will allocate needed memory size with malloc function and load the file into the memory. Now I need to decode the content in memory so I need to use some operations like swap some bytes etc. Is it OK to use malloc operation for this purpose regarding memory protection or should AllocVecTags() be used instead? When will we try it? Many games/code use stack for some things (trivial but need to be said), and usually size of default stack size on amigaos4 is too low for. And results of low stack size are crashes on some parts which should't crashes. I believe the default stack size on Windows is 1MB. I had to bump this up recently on a project I was working on... so matching that on this port makes sense. ps. did you have plans to add your aos4/endian changes to their repo ? I'm in touch with DevilutionX developers, there want to support big endian platforms, so yes, I will upload my changes later on. Looks like a fun game and i m eager to play it asap when its ready.